As we’re all aware, there are many challenges in maintaining a woman-owned business. These business owners are charged with work/life balance demands in ways men rarely do, and many are trying to establish themselves in places women haven’t been strongly represented in the past. Still – women-owned businesses are growing, and quickly. There was a 26% increase in their count nationwide between 2007 and 2012. Some have even called this the time of the woman entrepreneur. As barriers break down, we here at The Research Triangle Foundation see it as a perfect time to offer a unique type of support. With the Foundation’s dedicated area of focus on supporting the women of RTP, and our desire to find new ways to create the most inclusive environments, we are proud to announce a contest that will lend support to a women-led or women-focused company in our region. 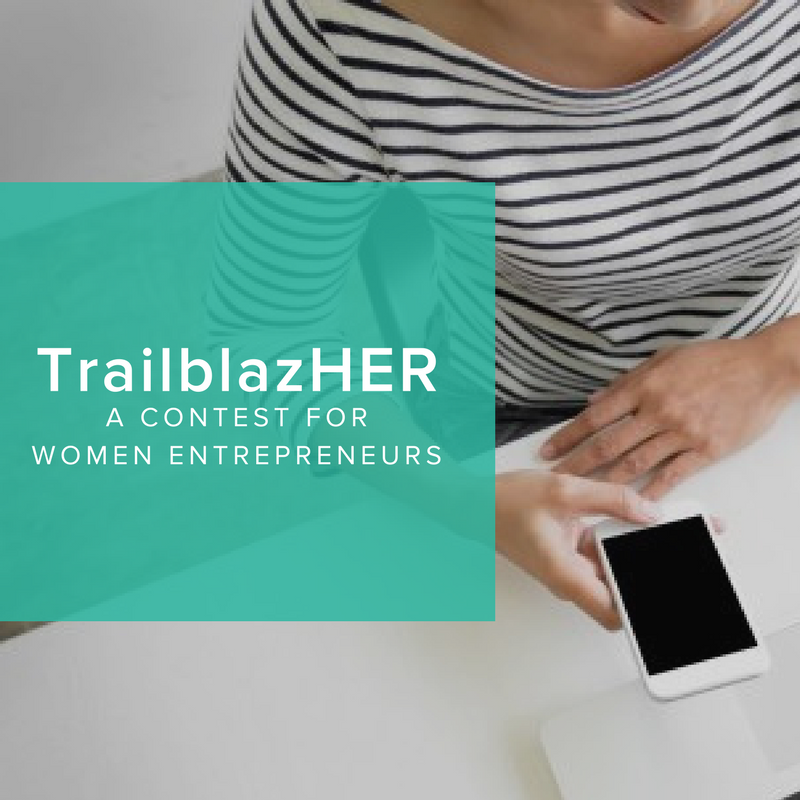 TrailblazHER is a RTP contest that will award an up and coming women owned or focused business with a year of free rent at The Frontier, business coaching, and other benefits valued at $11,000. The contest application is currently open, and I encourage you to read the guidelines and share with anyone you believe the contest could positively impact. This contest, which was launched at our RTP180 event on Women in Business, will bring a new company to The Frontier, and provide them with free rent for an entire year. Once selected, RTP will make a feature video on the company, and highlight their work throughout the year. The winner will also be offered in-kind consultation services from a number of Frontier businesses – Purple Goldfish, iFund Women, Oak City Technology, and Unity Digital Agency. “I’m still in the early days of my business, but I think it’s important to reach out to others and provide assistance where I can. I like the idea of working around other businesses that are run by women or who have a focus on women,” says Alisa Herr, owner and founder of Unity Digital Agency. “A contest like TrailblazHer is great because it helps support the dreams of women influenced businesses. It does a good job of considering businesses who aren’t necessarily going for the IPO in a short time. It offers support to these businesses where few others do,” shares Alisa. Companies and owners like Alisa are why we’re choosing to offer a contest like this. Inclusivity drives our thinking, and has become something we hope is obvious in the fruit of our labor at The Frontier. We’re excited to launch this contest for those reasons and many others. We think the Triangle can serve as an example for the nation to learn from on how women have continued space to grow in the world of business, and we look forward to seeing this small step move us a little bit closer to that goal. I ask that anyone reading this spread the word far and wide to someone you know who might fit the bill. As we’ve learned, there are many people and companies out there doing great work. A rich pool of candidates will create tremendous competition and lead to a most deserving winner. To learn more about how to enter TrailblazHer, please visit the contest webpage.